Argentina, Chile, Falkland Islands, Uruguay. Vaccination is mandatory and a certificate of vaccination is required for entry. A certificate of vaccination may be required if entering from an endemic country, (except for children <1 year old). Vaccination is recommended for the country but no evidence is required for entry. Long Term. 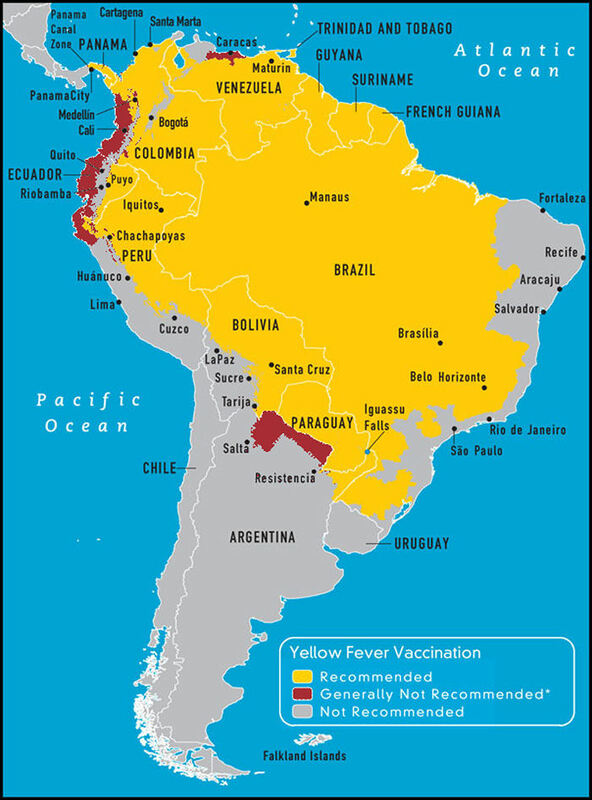 Vaccination recommended for travellers staying in endemic areas for 3 months or more. Except Japanese B Encephalitis if longer than 1 month. 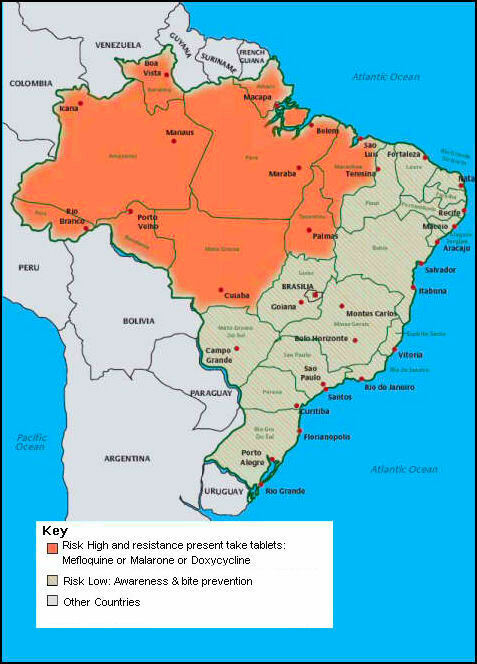 malaria risk in rural areas only and is highest in western and southern regions. The risk in urban parts of Belize City is small. 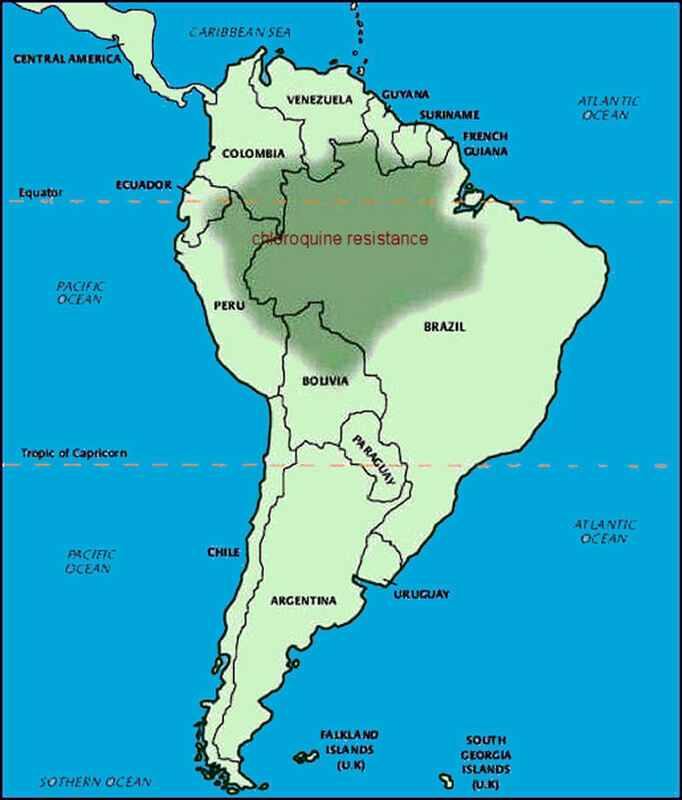 the Amazon Basin region, Mato Grosso and Maranhao regimen 1. 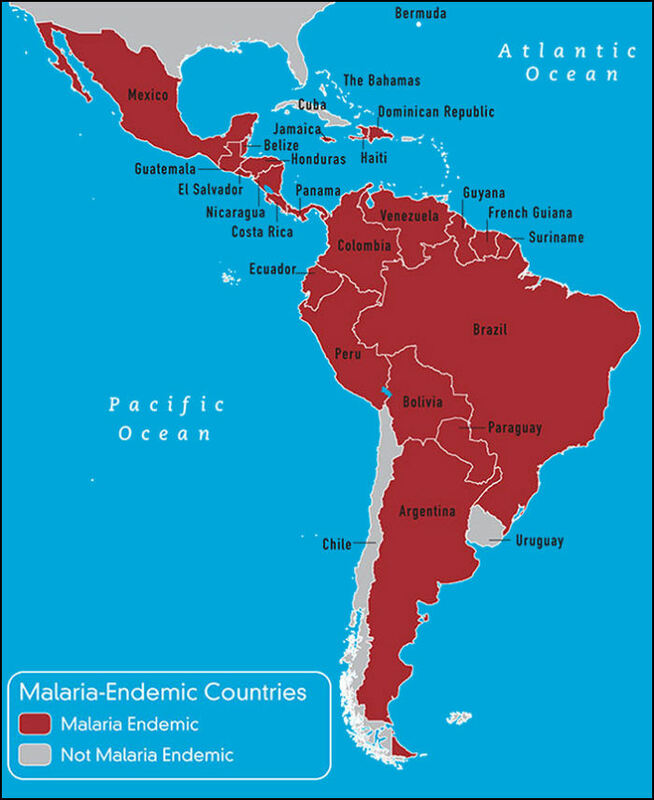 All other areas regimen 4.
all other areas below 1500 metres 2.
malaria risk in the northern Santa Ana Province and in in rural areas along the borders with Guatemala and Honduras - regimen 3. All other areas are very low risk, adopt bite avoidance measures. No risk on Margarita Island. 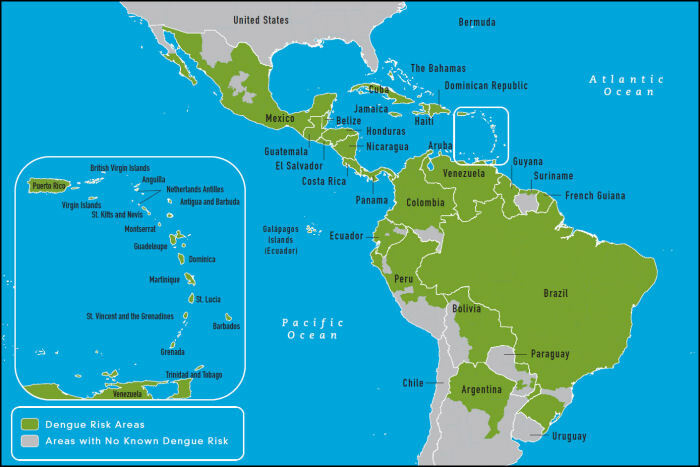 very low malaria risk for cruises along the Panama canal - regimen 4. Areas west of the Canal e.g. Bocas de Toro if visited - regimen 3. Areas east of the Canal e.g. Darien and San Blas - regimen 2. Remember:- No prophylaxis is 100% effective but not taking anti-malarials where they are indicated will put you at greater risk should you get the disease. Remember - Malaria is a killer! the Advisory Committee on Malaria Prevention.